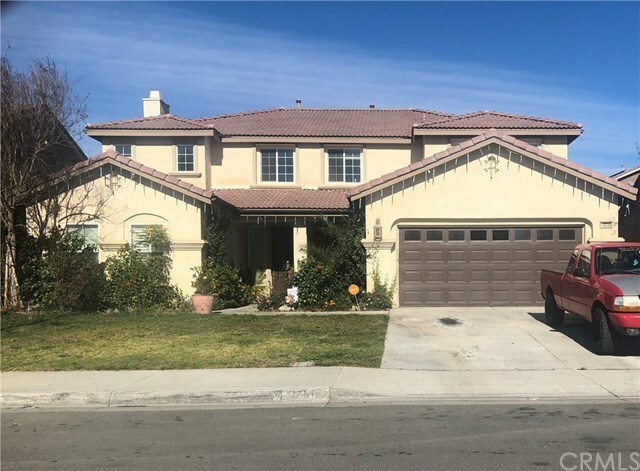 Eastvale home located near great schools and shopping centers. Formal entry and foyer with guest bedroom and bath near the front of the house. Formal living room and dining room are both off the entry foyer have high ceilings. There is a butlers pantry off dining room that leads to the kitchen. The kitchen has a large island and granite countertops with plenty of cabinet space. Upstairs there is a giant bonus area, great for kids. The Master Suite has a jetted tub, separate shower area, double sink and vanity and a large walk in closet. The backyard has a custom pool and jacuzzi complete with waterfalls! This house is a fixer but will be amazing with little effort.